Rep. Peter Welch (D., Vt.) apologized Tuesday for making a comment about the partial government shutdown that was dismissive of the United States' history of slavery. 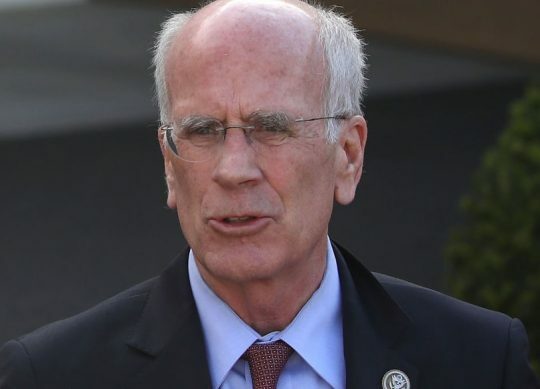 Welch made the comment in the context of an effort to protect federal workers from the adverse effects of a shutdown. Sharing a story covering his proposed legislation, Welch said "[n]ever in the history of this country has it been legal to make people work for free but that's what's happening to federal employees." Welch's legislation would provide immediate backpay to those affected by the ongoing shutdown, now in its 33rd day. It would also make it illegal for agencies to force workers to continue work should they not receive pay. Responses from pundits, journalists, and other Twitter users prompted an apology from the congressman later that day. "Sincere apologies," he said in a follow-up tweet. "Nothing worse in the history of our country than the brutal inhumanity of the horrible, relentless, and savage infliction of involuntary servitude-slavery- on millions of people whose freedom was denied. Nothing." This entry was posted in Politics and tagged Government Shutdown, Peter Welch. Bookmark the permalink.